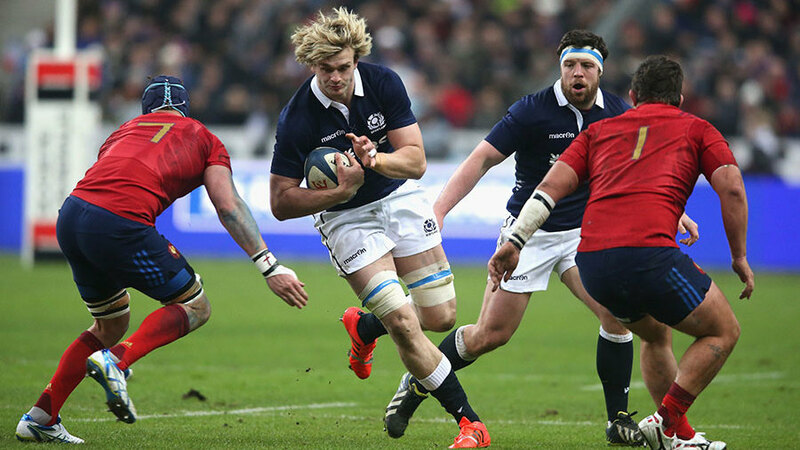 Scotland have suffered a huge blow with second-row Richie Gray ruled out for the rest of the Six Nations. Gray picked up an injury to his upper arm in their 26-23 loss to Wales and scans have revealed he faces in the region of three to fourth months out. Gray was forced off in the 56th minute and was replaced by Jim Hamilton. Tim Swinson has now been called into the squad. Gray has been a constant fixture under Vern Cotter and started all three of their autumn Tests, scoring against Argentina. He was named in Scotland's XV alongside brother Jonny Gray for both of their Six Nations games to date but he will now sit out the remaining fixtures with Italy, England and Ireland. In a further blow, Glasgow Warriors loose-head prop Gordon Reid has sustained a tear to his medial collateral ligament (knee). He will now undergo a period of clinical support, assessment and rehabilitation. The news comes just a day after prop Jon Welsh - who scored a late try against Wales - was also ruled out of the remainder of the competition with a fractured hand.